Chinese smartphones have emerged from a murky past of iPhone clones and shady software to become a new force in the global market. These phones tend to be a lot cheaper than phones sold in the West, even accounting for import costs, but often have equally good build quality and features. There are some great Chinese phones which are officially sold in the US, but there are many more you may not have heard of which aren't, so we've put together a list of the very best of both for you. While we wait on news about the US availability and price for the OnePlus 6, it may be worth considering the predecessor, the OnePlus 5T, which is surely due a price drop. There are two variants, each with differing RAM and internal storage amounts. The 64 GB / 6 GB of RAM version goes for $499 at the time of writing, while the 128 GB / 8 GB of RAM version is just $559. With such an overkill amount of RAM, the phone has fantastic performance, and the Dash Charge keeps it juiced up well. The camera performance is perfectly adequate, and best of all, it's easily available in the US. The Honor View 10 is a truly impressive device for its price tag. With this device, the Huawei sub-brand managed to make a top of the line smartphone for half the price and it looks gorgeous. If you're following the brand, you may notice that this is the most expensive Honor device to come to the US, but nevertheless, it boasts many premium features that make it an attractive option. The specifications are impressive: Kirin 970 chipset, 6 GB RAM, 128 GB storage, dual camera, a modern design working towards the bezel-less display, running at least Android 8.0 Oreo or possibly even Android 8.1 Oreo. The device comes in Navy Blue or Midnight Black and a protective silicone case. Luckily for fans of the headphone jack, it still has one. Again, Honor sets the bar high. The Honor 7X caters to the needs of connected millennials looking for an affordable phone without compromising too much with the specs. It offers most high-end features, but the price-performance ratio is what really sets it apart. The 7X has a 5.93 inch Full-HD LCD display, 2.3GHz octa-core HiSilicon Kirin 659 chip and a 3,340 mAh battery. These aspects combined mean you're getting a powerful smartphone that can breeze through a day of normal use without breaking a sweat. The dual camera on the Honor 7X body features two 16+2MP sensors. The two sensors allow the bokeh effect to be used. Don't expect to shoot 4K videos. The front camera offers 8MP shots. For under $200, the Honor 7X is a stylish steal in the mid-range. The Huawei Mate 10 Pro is a powerful yet long-lasting device. It's reliable and visually appealing, as well. The huge 5.9-inch full HD display complements the standard Huawei design dominated by metal and glossy cut edges. Its dual-lens camera comes from the experts at Leica. This phablet had an awkward journey to the US, especially after major carriers backed out of deals to offer the Chinese flagship after pressure from the federal government. But all is not lost. Huawei will be selling the unlocked Huawei Mate 10 Pro through Best Buy, Amazon, Microsoft, Newegg and B&H for under $650. Since Best Buy have stopped ordering new Huawei stock, you might want to get one of these beasts while you still can. The Mate 10 Pro comes with a 4,000 mAh battery, an octa-core Hisilicon Kirin 970 processor, Android Oreo and 6 GB of RAM. While we don't know if Honor plans to release the Honor 10 in the US for now, I'm keeping my fingers crossed, because it's a fantastic device that looks stunning. The way the light reflects off the back is even more mesmerizing than its predecessor, the Honor 9, thanks to the gorgeous color gradient. In addition to the design, the new flagship has great performance specs. The Honor 10 boasts the same Kirin 970 processor as the Huawei P20 (for a lower price) and 4 GB of RAM, in addition to a 3,400 mAh battery capacity. In our review, that translated to smooth performance and average battery life. The camera is feature-packed and provides great results, although the AI 'improvements' to snapshots might not be to your taste, you can toggle this feature on and off (likewise with the display notch). If you like the look and feel inspired to buy this phone, you can wait and hope it comes to the US officially or try to import it from Europe, the UK or China, at the equivalent price of about $600. With the Mi Mix 2S, Xiaomi manage to achieve what other manufacturers apparently find impossible: a bezel-less smartphone without that annoying notch! Yes, it's true. The smartphone pushes the limits of the 18:9 format with a front face is almost entirely covered by an AMOLED screen of 5.99 inches in Full-HD+ resolution (2160 x 1080 pixels). The bezel-less display is simply beautiful, even with the slightly thicker 'chin'. The corners of the display are also rounded, which further improves the screen edge. Since there isn’t any space above the display, the front camera has been moved to the bottom. It's also worth noting that the dual rear camera has been improved, matching the iPhone X in DxOMark rankings. This is a truly amazing looking device. The Mi Mix 2S is available in several variants. While all carry the latest Snapdragon 845 chipset, RAM is either 6 or 8 GB, and you can get 64GB, 128GB or 256GB of storage inside. Now, while we know that Xiaomi has ambitions to enter the US market officially by 2019 don't hold your breath for the Mi Mix 2S just yet. It's likely that the Chinese brand will test the waters in the entry-level or mid-range markets before risking setting its flagships against Apple. Nonetheless, if Xiaomi does decide to be bold, the Mi Mix 2S will be a prime example of the quality it can offer. The Huawei P20 Pro represents the current pinnacle of the ambitious Chinese manufacturer, and its exclusion from the American market is likely to leave a few US citizens looking over the Atlantic with envy. The Chinese flagship has a groundbreaking triple camera, great build quality, powerful processor and a gorgeous 6.1-inch display. The 4,000 mAh battery keeps the impressive Kirin 970 processor and 4 GB of RAM going throughout the day. The phone comes with the latest version of Android, Oreo, and an roomy 128 GB memory, although sadly this cannot be expanded with a microSD card. The P20 Pro is a worthy rival to the latest Samsung Galaxy S9 or iPhone X, with the unique selling point of the triple lens camera. While it's unlikely to become officially available in the US due to political clashes with China, the P20 Pro is a really impressive, beautiful device worthy of your consideration. OPPO, the more obscure sibling company of OnePlus, isn't just making the low-end devices anymore. The OPPO R15 has a striking design thanks to an aluminum frame with a glass back that feels absolutely great in your hand. Even though OnePlus sells officially in the US, its prices climb ever higher, so maybe it's time to look elsewhere in the family. The R15 and R15 Pro design (known as Dream Mirror Edition on Chinese soil) differ in the rear frame, which is flat on the standard edition and slightly curved on the sides in the Pro edition. As a result, the aluminum frame is also slightly thinner in the Pro version, which allows for the curve on the rear. The Super-V display of the OPPO R15 covers an impressive 90% of the front surface and consists of a 6.28-inch OLED panel with FullHD+ resolution (2280 x 1080 pixels) in a 19:9 ratio. All great, if you can stomach the ubiquitous iPhone X style notch. Both versions feature 6GB of RAM and 128GB of internal memory that can be expanded via a MicroSD up to 256GB. The smartphone has dual SIM functionality via a hybrid slot, so you can choose whether to use a second SIM card or use a memory expansion card. The regular R15 carries a Mediatek chipset, which isn't great. We'd advise to get the Pro (Dream Mirror Edition), which uses a SoC Qualcomm Snapdragon 660 instead. The camera is also a big selling point for the Pro, which is the equivalent to what we will see on the OnePlus 6. How do I get one of these phones? Where there's a will, there's a way. In our device reviews, we always provide info on the best price for a device and share links for where you can buy one (just make sure you check the phone's LTE frequencies to ensure they will work with your carrier before you buy). There are also a bunch of excellent online retailers in China willing to ship a device globally, many of which can be found in our article on how to buy Xiaomi phones in the US. Have you imported a Chinese smartphone? Let us know what you think of it in the comments! First of all I didn't like the Title Chinese smart phones as they seemed a lot better than the so called High range Products and secondly people know all these phones why are you always repeating the articles in the site I know it's different people posting but all people see is an article so please make sure you don't repeat your articles. MI 6 is a great smartphone. I'm surprised that Cubot phones are not mentioned ? They seem quite easily available in the UK. We have been using 3 Cubot phones in our business for over 3 years now and they just seem to work and keep on working . We changed due to frustration using the branded others just seemingly always falling down when you really need them most out on the road. I have a mate 9, following on from my old note 4. Its been very good, love the flat screen, battery time is great, last all day and more. No issues with hd display, on normal day to day use i cannot tell the very slight difference to qhd. Having used one i would definitely consider the next model over a Samsung. I guess you could always argue about the selection being made here, and yes several other phones are also worth mentioning (personally I really like my Vernee Apollo). However, the article focuses only on hardware but a phone consists of software too. Sometimes the chinese phones contain quirky software and special Android adaptations that are far from perfect. In my experience those who offer a stock Android version are the best. Also, stay away from phones that still use Android 5.1 or even 5.0. All those details are very important and when companies today lunch a new device they show all of those qualities to the public; all the possibilities and technology the device is capable of and the chipset. Most of the major players like apple, Samsung and LG (and many others) manufacture their devices in the east Asia; Singapore, China, Korea, etc. this happens mostly because the manufacturing costs in this area are much lower and that with many years of experience the plants and workers there acquired knowledge that allows them to make better, smarter phones. Many of the Chinese phones in the market even surpass the known brands like the famous Apple. The Chinese brands are manufactures in the same plants as the oversea brands’ phones are. The branding issue brings us to an entirely different subject – marketing and publicity. I will publish a separate article about the subject later on. Today, thousands of people personally import cheap Chinese mobile phones using the large e-commerce sites available like aliexpress.com, Chinese-phone.com, ebay.com, amazon.com (and those are just the larger ones). If I gave you a chance to forget about the brands, and value the phones only by their quality and their component’s quality. How would you feel? I believe you would have used the same methods as I do – price vs performance. I presented before two Smartphone's to compare. One of them is a known brand’s phone and one is a Chinese company’s phone. I would include the ZTE Axon 7. Excellent build quality; 820 processor with 4Gb of ram and 64Gb of expandable storage; dual, front-facing speakers; non-intrusive software skin; excellent 5.5 inch display; solid battery; decent camera; and $400 price (got mine on sale for $350). Really solid device. I had xiaomi mi 3 , very good stable phone, still can use it at this moment and it will work impressive . I had to give up on it because of 16 gb memory with no sd card ( the biggest minus) , the design , look like a brick , no 4 g ( but 4g developed afther that) and no fast charging , but like i said very.. Very good phone at his price 220 euro new with warranty in my country. I have replaced with a meizu pro 5 , and the cpu is not clocked at 2.5 , that is a erorr..cpu is a Octa-core (4x2.1 GHz Cortex-A57 & 4x1.5 GHz Cortex-A53) . one + 3, and we don't talk about benchmarks just day to day ussage. Of course one + have new chipset and will perform better in benchmark . And when you put the price 330 euro ( bought at a good discount) with 2 years warranty in my country with 550 ( one + 3 ) i think we know who is 1 st place , off course that is my opinion. I tested the xiaomi mi 3 and the pro 5 in different aps , the diffrence was insesisable , the pro 5 was an upgrade? Well yes , with all the features ..design, 4g, sd card, fast charging, DAC But in the end the price matters. Mi 3 good as his price at that time way above galaxy s 4 at half price, pro 5 same as the Samsung Galaxy note 5 with + and - on both sides at almost half price . That is the beauty of Chinese phones , high specs at low price. LeEco Le 3 pro, Vernee Apollo ? Worth buying? I think chinese phones are the best. Look at this! They are amazing, gorgeous, performant,...the best!!! Huawei mate 8, 360 Q5 plus, ZTE Z11 MAX, Huawei note 8 etc are great new phones having nice features including huge batteries that could be added to the list. Very nice phones though underrated..
"ok Google" how many smartphones in the world ? 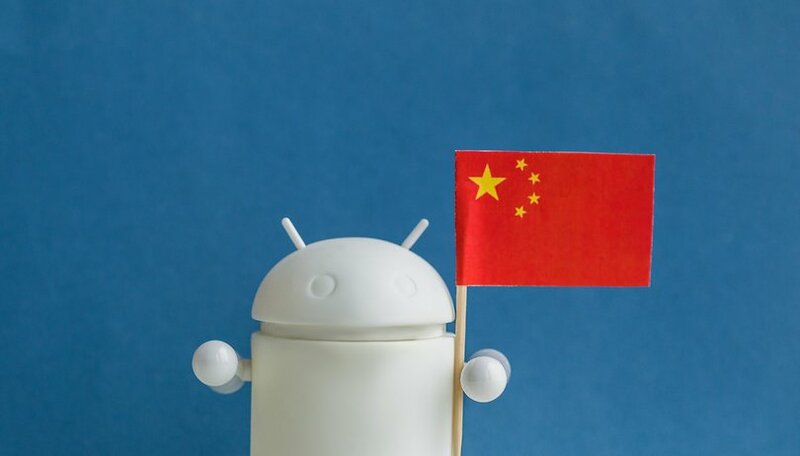 2 billion give or take..
i wonder how many have Chinese components..
Android without Chinese manufacturing would be like Android without Google..
Dragon is going to eat more then 90% of mobile market, where is the rest world? Hi Mukesh, thank you for your comment. Even if a company is from another country most of their components are manufactured in China. I think the rest of the world does need to step up but the applicable countries can only be near China (geographically), at least at the moment due to availability of components. Yes you are correct. However I find most the AmeriCAN reviews very biased which show that they are still just AmeriCANS. Their world is too small to accommodate the views of others and you can see that most socalled "reviewers" are just young kids without proper life experience and thus insight. yes but who wouldnt want to review? It is very obvious from the reviewer that AndroidPIT personnel is biased. May I speculate that it is because they don`t get kick-back from UMI etc? Not sure where the author got his pricing info for the Lenovo Vibe P1. I followed the link and it is not priced under $160 US. It's more than Double that price and it specifically states there is NO WARRANTY. At least that's what it says on Amazon. One thing about these Chinese phone manufacturers that is very revealing and insightful. They proved that companies like Samsung and Apple along with our beloved phone carriers are overcharging us on high quality phones and if anyone just insists on having phones like that, they should get them from one of these chinese phone manufacturers. I do have to admit they are truly awesome looking. And their price points could put a real big damper on sales for Samsung, iPhone, and others. I for one would love to see the mighty Samsung get kicked back a few notches so they might gain a little more humility. I have used nothing but Samsung for my carriers for years but after friends let me see how their Meizu and Xiaomi phones functioned, I feel I've been getting ripped off for buying Samsung's top rated models. The S7 does not impress me at all. As soon as it slips out of my hand, the repair cost might be more than buying one of these phones here. I still think phones with removable backs are better. They are more easily serviced and upgraded. This new trend is gimmicky and costly. Not at all sensible from a financial standpoint and definitely not for the avid user who likes control of their hardware and software. Upgrade options among other useful things are slowly being eliminated from alot of phones and yet the cost of new phones just keeps going up. The amount of additional cost for a manufacturer to give you a high end spec and eloquent external appearance is likely only 10% of the ridiculous additional premium they add to the price to have those things. At least these phones have brought better pricing compared to well known brand name. I fully support you. I call Samsung SamGONE and they WILL BE GONE just like Blackberry. They think that they have us but they don`t. BTW I bought a UMI Touch for $169 and it is better than most so-called high-end phones. These phones are made for peanuts and sold for an arm and a leg. bring on the Chinese (who are anyway build all the phones) phone and squash Apple & SamGONE like the gnats they should be. In the Android world there's a phone for every budget and taste. Apple caters to the high-end market, which there will always be a demand for, and Samsung does too, including the mid to low-end market. Besides, both companies have proven hardware and software, and a boatload of money to advertise. Don't get ahead of yourself. I really love each of their designs. The Zuk Z1 looks really sleek and elegant. No <3 for ZTE ? So.... No LETV Lecco 2/ MAX? You should also include devices like Honor 5X and LeEco Le 2. I read both the articles which you linked here. I think apple Inc is doing same mistake like the developed world did after 2008 world sub-prime crisis, that was Protectionism. When you do this mistake, innovation, creativity and competition stays out. Then the people ultimately suffers in democratic country where there is freedom of choice. Thus Apple Inc is not acting like a company of a democratic country, it is acting more like N. KOREA or China. Americans need to remove this smoke screen (Apple Inc) and live up to their rights. Civil societies should litigate against these wrong practices. People should get choices. And I'm really happy to say coz it was America who taught us in India about freedom of choice. The world is with the ppl of USA. So stand firm and tell Apple Inc to not cross the line. Cheap Chinese made smartphones are flooding in the market. But their customers support lagging. Upgrading the software is difficult. Heats up.even after upgrade,full of bugs,where the play store doesn't work.and at last I suspect spywares installed in the name of some crap apps. Dont buy smartphones from China,they dont offer warranty,it may fail in one month and seller will laugh at you. It happend to me with DigitalGlobal (HK) store.YOu might want to request 50% refund as soon a s the phone is received to be worth the risk buying from these scammmers. Can you please start reviewing the other new phones coming out if China. They show great specs at low costs but are they any good? The likes of Ulefone, Eelephone, Doogie,Cubot etc. all look good on paper great specs even pure android on some and the costs are so low are we being ripped off by the big manufacturers or are these Chinese company making a loss to get into the market? These are real stories I would like to read and I'm sure other would too. We all want a good solid phone at a great price! Come on AndriodPit step up to the mark. But phones like Umi, Doogee and other have potential as they are available through the same channels as these, are very competitive in their price segment, just don't receive the recognition and publicity from you as the other makes. Is there any financial incentive involved that you skip some brands??? I agree Alex maybe AndroidPIT IS receiving incentives as I have UMI Touch at a fraction of the price and is good. They (AndroidPIT) skip these on purpose. users some info on these rather than the mainstream who seem to be overcharging compared these phone prices. In most cases you could buy a new phone every 6 months and have change for a rainy day! Xiaomi has been on the market for some time now and has proved to made reliable phones. With the Mi 5 it should not only be mentioned in the Chinese phones articles, but also be compared with the flagships from the main brands. These smartphone models are on the list of being the best smartphones in the market today. They are very high-end and something you really want to have. Yes, I agree. High-end at mid-range prices for most of them. You can't really beat that. I'm happy with my Alcatel OneTouch Flash phablet for about $114 with 1GB of Ram I've used here in Thailand for the last 7 months, but on my next phone I want at least 2-3 GB Ram and a Qualcomm Snapdragon processor instead of MediaTek, so I'm looking at the ASUS Zenfone Max 5.5inch HD 5000mAh 4G LTE. Does anyone recommend this Asus phone with a Snapdragon 410 MSM8916, Quad core and 2GB of Ram? It's a $140 on Geekbuy now. I don't think any of these are worth the radio band support mismatches, lack of manufacturer support and similar lack of developer support. They're interesting at their pricepoints, but there is a good market-based reason they're not readily available in the US. They're simply not designed and supported for the US cellular market. But what this Kris guy didnt tell you is that Lenovo has two version of firmwares for most of their popular phones one is called the CN version (China only ) the other is ROW version (Rest Of the World) . When you buy from China there will be unscrupulous traders would probably grab a CN and shipped to EU/US instead of ROW version. The CN version DO NOT HAVE any Google Apps or they might put in a basterdise firmware called the SJCN firmware and then you're screwed. Most Vibe 2.0/2.5/3.0 indicates Lenovo for China only version exception are Vibe X. But Lenovo rooting only takes 3 minutes if MTK device but not on QualComm, but once it is rooted we can modify to our hearts content to convert CN to be pure ROW version. But be careful about ordering online from China buy through AliExpress for safe reclaim if supplier did not suply you with ROW version! Well, we are hoping that these Chinese android phones will surpass the US android phones. People are expecting that these phones will be a big hit in the industry. And where is ONE PLUS TWO? The Chinese, as well as every other manufacture, should use global LTE chipsets so their devices can be used anywhere in the world, including Project Fi. I would have loved to have bought either an Huawei P8 Max, MediaPad X1 or a MediaPad X2. Unfortunately, none have US LTE compatibility. The ASUS Zenfone Max 5.5inch HD 5000mAh 4G LTE on Geekbuy says its 4G FDD-LTE 1800/2100MHz is this the specs you're looking for? You always seem to be talking about Chinese phones. Why not talk about some of the up and coming phones due out this year or next? Like the Yota phone, the Comet, and Ubik. You have talked about the Robin ( nothing new there) Give us something new instead of the SAME OLD S..T every time. These SOS recycled acritical are getting boring. As said below, it easy to run whatever ROM you like on the Find 7. I'm on Lollipop 5.1.1 (using Nameless ROM). I flashed a custom ROM the day I received my Find 7, back in June of 2014. I have unified the storage on the device (thanks Coldbird! ), and it is simply the best phone I've ever used. I also have an LG G3 which sits at home in a drawer, wishing it was a Find7. ...of course, your mileage may vary. Use what you like, and like what you use. Wi-Fi is a standard addition these days brother, so mentioning it is like advertising that a car has got a steering wheel.